The four kilometer long street from Umeda to Namba gets illuminated in stunning scale. The area from Yodoyabashi on Midosuji to Shinbashi creates incredibly fantastic world using lots of lights on the row of ginkgo trees, facilities along the street and public spaces. 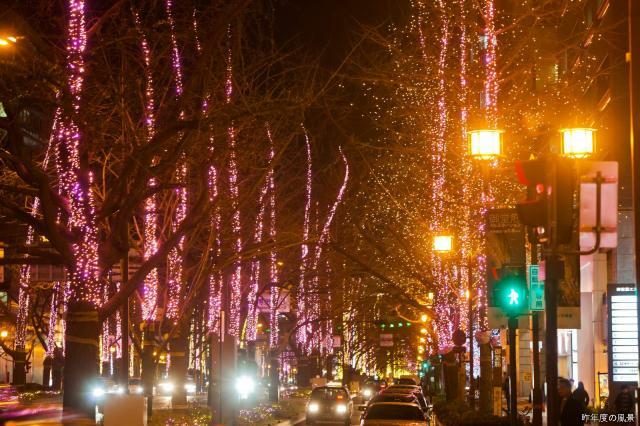 The row of ginkgo trees from Hanshin-mae to Oebashi-Kitazume as well as from Shinbashi to Namba-Nishiguchi are illuminated.